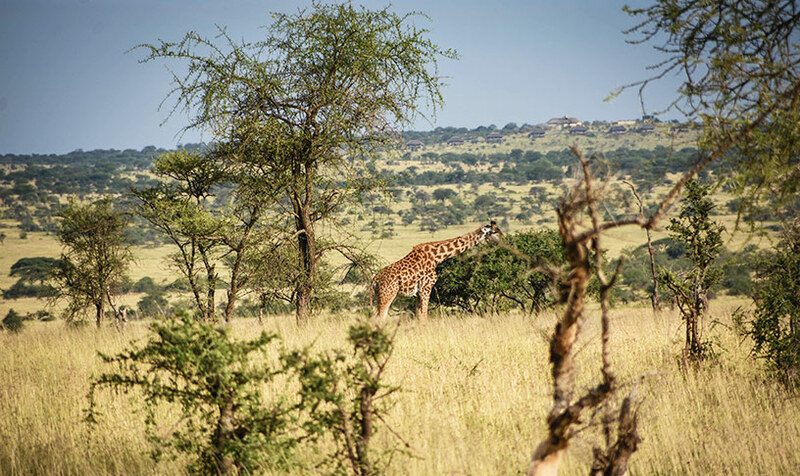 Before heading out on my very first African safari, I had no idea what to expect. I booked a tour, made sure I had everything on the packing list, showed up at the starting hotel and did no research whatsoever on what a safari was like and what I would see. Lucky I like surprises. If you want to be better prepared than I was, here’s a handy guide detailing what you can expect on an African safari. Most safaris run over multiple nights – meaning you’ll be sleeping in the national parks you visit – and most likely in a tent. 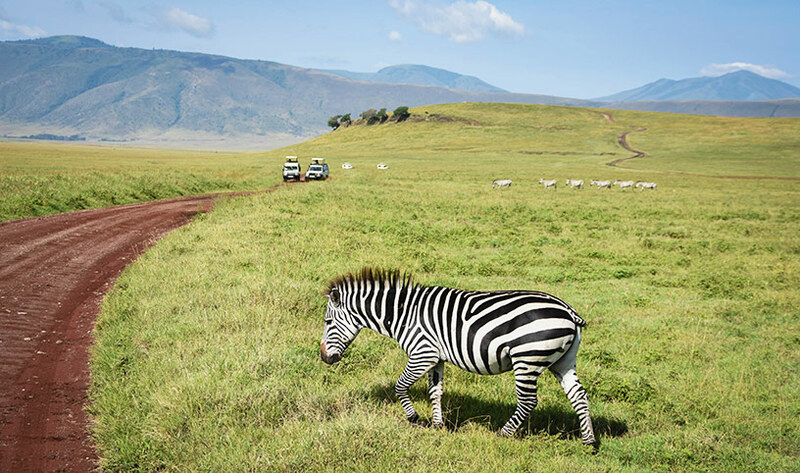 On my safari through Tanzania, I spent two nights camping in Serengeti National Park and one night camping on the rim of the Ngorongoro Crater. All nights were spent in campsites with bathroom facilities and dining areas. 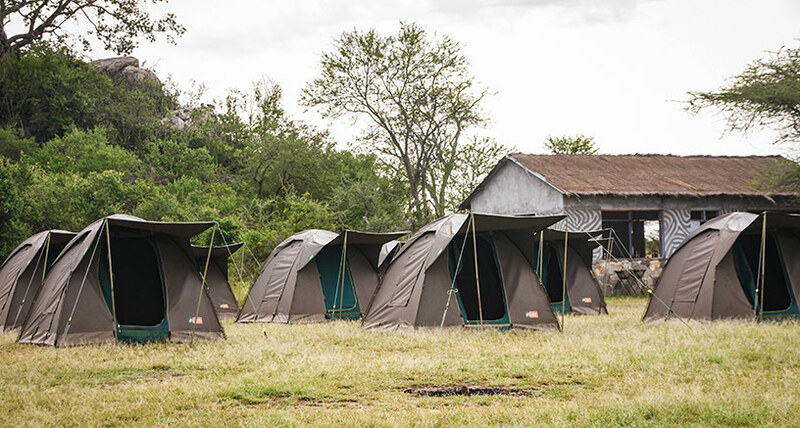 If you’ve chosen to do a basic wildlife safari then you too will be sleeping in a tent. The quality can vary across companies, so choose wisely. During my tour, heavy-duty tents were erected at each campsite by the time my group arrived and contained a mattress, pillow, pillowcase and a bottom sheet. All I needed to provide was a sleeping bag. Some groups had to put up their tent. Some campsites will have electrical outlets, but others won’t. However, your safari vehicle may also be fitted with electrical outlets so you can charge your devices while on the road. If you’re staying at a campsite, you’ll have access to basic bathroom facilities. The facilities will be located a short walk from your tent. Facilities include squat and/or flush toilets, showers (some will have hot water) and sinks. Bathrooms are split into male and female facilities. Flies will drive you crazy during the day, and then the mosquitoes will come out at dusk. Cover up as much as possible when you’re outdoors at night to prevent mosquitoes from biting, and wear insect repellent on any exposed skin – particularly your feet and ankles. Remember in some safari areas – such as throughout Tanzania – mosquitoes may carry malaria. Consult your travel doctor before you go about malaria risk areas and if you should take malaria prevention tablets. Throughout your safari, conditions are likely to be very hot and may also be very humid. I did my safari right before the rainy season set in, so it was very sticky and it rained at least once a day. But despite the rain, I was always covered in a fine dust mixed with a layer of sweat! It was incredibly hot with only brief respites from the rain. You’ll get a great view of the many animals on safari by popping open the roof on your car. All the safari vehicles I saw were fitted with a roof you can pop up, and close when it gets too dusty or starts to rain. Once you pop open the roof, you can peer over the top of the vehicle to get that Instagram worthy shot. You’ll be amazed how close you can get to some animals. On my safari, the Lions didn’t seem worried at all by the safari vehicles – some even came and sat in the shade provided by the 4WDs. I got close to three lion prides, and it was fascinating to see both male and female lions and their cubs up close as they played, ate and slept. Leopards proved particularly elusive, and you had to look through binoculars to set your eyes on one! You’ll be amazed at how many animals you will have the opportunity to see on safari. I counted more than 30 – many which I had never even heard of before my safari. 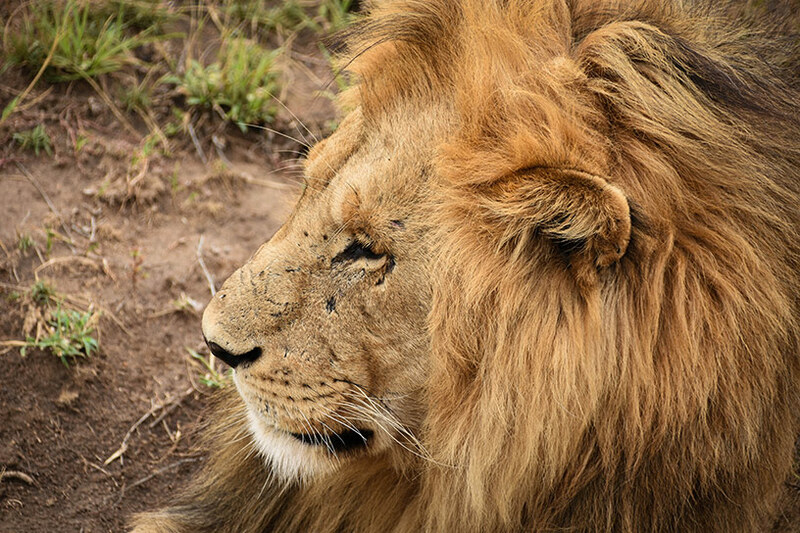 Animals I saw on safari included lions, elephants, cheetahs, rhinos, hippos, monkeys, many bird and antelope species, leopards, warthogs, zebras, and wildebeest. Camping in the national parks means wild animals are never far away. This was the most unexpected part of my safari. I expected the campsites to have fences – but you’re out in the open where any animals can wander by. 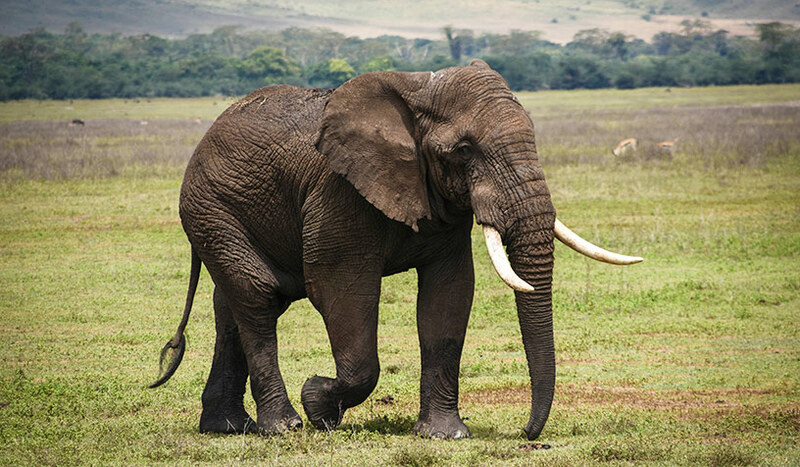 While I was on safari, I heard hyenas fighting 7 am away from where I was sleeping, buffalos eating grass behind my tent, and elephants knocked down the front canopies of several tents as they walked by. It sure made for some scary bathroom runs during the night. Talk to your guide about precautions to take overnight while camping in the national parks. Remember not to leave any food in your tent as well – keep it in the safari vehicles. 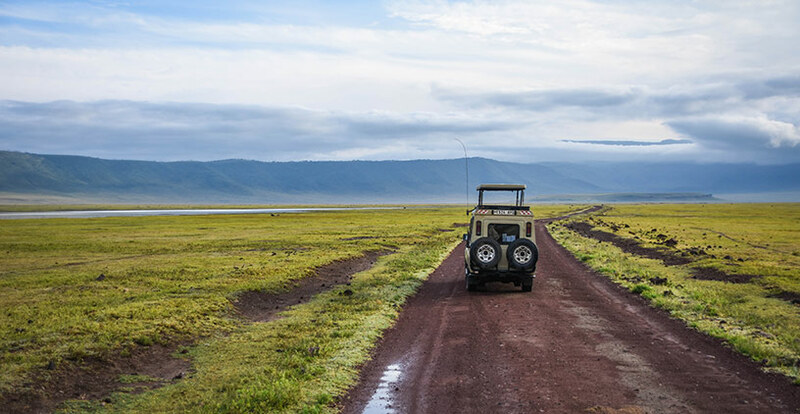 Game drives mean long days spent in your safari vehicle on bumpy dirt roads. Safari days usually started at 7am, and my group returned to the campsite at about 5 pm. This made for many hours in the car. But don’t worry, it’s broken up with wildlife spotting, and you’ll forget how many hours you’ve been on bumpy roads when you get close to a lion or elephant. Your guides will also stop for a lunch break in designated picnic areas. Just watch out for sneaky birds and monkeys trying to steal your food! While days were always hot and sticky, some nights had me pulling on my jacket and thermal pants. While camping on the rim of the Ngorongoro Crater, the night was chilly, and my group was provided with blankets to keep us warm throughout the night. This was another surprise for me. I expected Africa to be hot all day and night! It’s not just the animals that will impress you on safari. You’ll be amazed at how beautiful the landscapes are in the national parks. Throughout my Tanzanian safaris, the terrain was filled with rivers, mountains, grassland plains, umbrella trees and even a volcanic caldera. You’re sure to be snapping dozens of photos of the landscapes in addition to the animals. 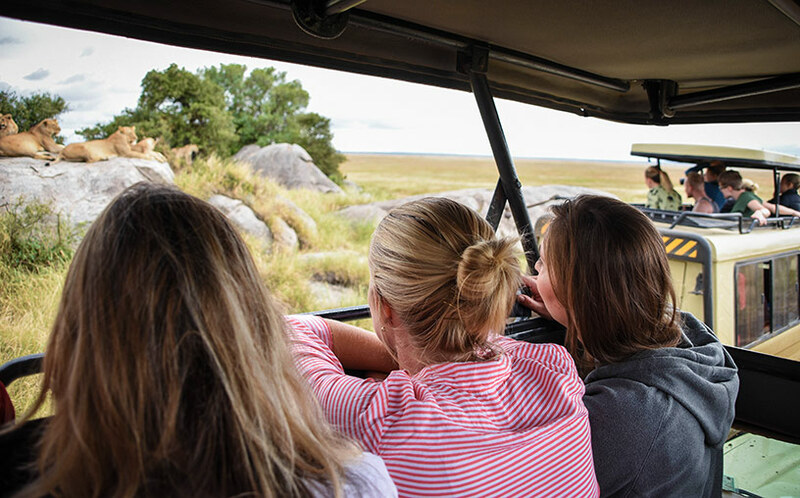 What should be on your safari packing list? Here is a list of essential items to take on your safari. With this handy list, you’ll be better prepared for your safari experience. Get ready for an unforgettable adventure getting within arm’s reach of hundreds of unique wild animals.